Our repair garage has been on this site for over 50 years, and was originally part of a petrol station and showrooms operating at Nork in Banstead. For over 34 of those years Tony Stamp has owned and run Nork Motor Engineering. Tony grew up in Banstead and has 46 years experience in the trade. He is proud to consider himself an engineer first, and a garage owner second. Nork Motor Engineering only employs qualified engineers for all inspections and repairs on customer’s vehicles. The office and workshop are open Monday to Friday, 8:30am to 5:30pm. At Nork Motor Engineering, we deliver MOT’s and repairs in Surrey and the surrounding areas, booking on a leave-it-for-the-day basis. 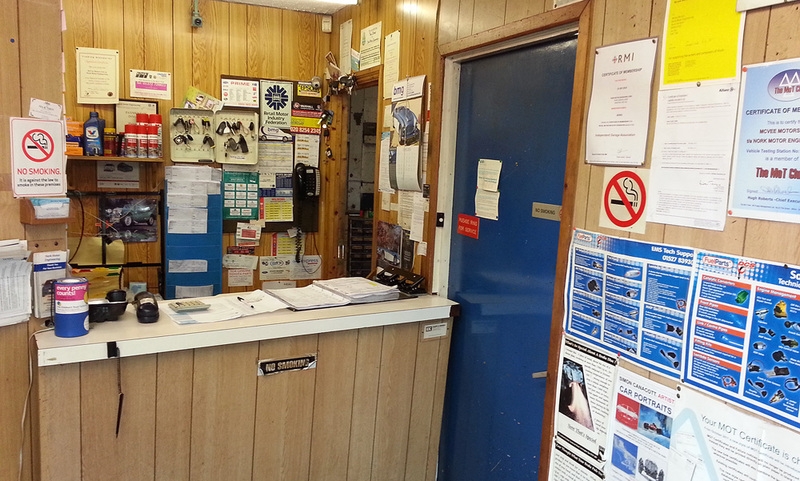 However, MOT’s can also be booked on a waiting basis, with waiting times at 10:15am and 1:45pm. Waiting tests are usually done in about an hour. Nork Motor Engineering not only handle repairs and MOT’s, but are also able to take on more specific needs such as electronic diagnostics and AirCon maintenance.